Nov - 23 | By: Oregon Film | one comment. I was sent this website today which has some great material from the show. Lots of behind the scenes footage which shows off Portland in a great way. Even Jim Clark from Hive FX made an appearance in the clip about the skateboarding scenes. 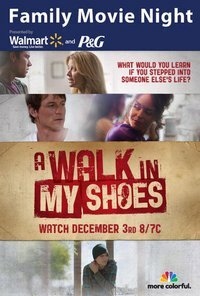 It also finally confirmed that “A Walk In My Shoes” will be airing on NBC Friday December 3 at 8:00PM. The whole film was shot and set in Portland. Even better was the fact that the entire crew with the exception of the DP and Accountant were from Oregon. I also know that quite a few local actors were hired to be in the show. So make sure to tune in on December 3. Word is that the DVD will be on the Walmart shelves the next day (Walmart and P&G were the financiers behind the film).